Pakistan-linked terrorists figure on top of an updated list of financial sanctions imposed by the UK. India’s most wanted man Dawood Ibrahim Kaskar and Pakistan-linked terrorists and terror groups figure prominently in an updated list of financial sanctions imposed by the British government. Dawood Ibrahim features under his various aliases and with his last known address given as White House, near the Saudi Mosque in the Pakistani port city of Karachi. The alleged mastermind of the 1993 serial bombings in Mumbai has been on a consolidated list of asset freeze targets designated by the United Nations, European Union and United Kingdom since November 2003. “International arrest warrant issued by the Government of India, also referred to as Hizrat,” reads the latest document released by the Treasury Department. 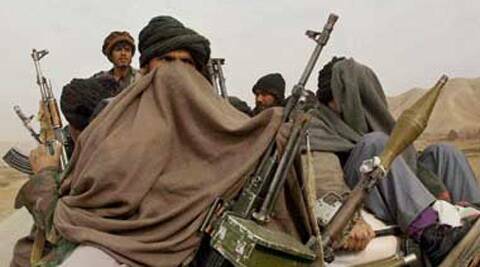 Jaish-e-Mohammed or the Army of Mohammed, blamed for the 2001 attack on India’s parliament, featured on the freeze list as a key outfit “based in Peshawar and Muzaffarabad, Pakistan”. It is linked with other banned groups like Harkat-ul-Mujahidin, Lashkar-e-Taiba, Al-Akhtar Trust International and Harkat-ul Jihad Islami. Among the individuals on the banned list for years are Haji Muhammad Ashraf, described as chief of finance of the outlawed LeT, and India-born Mohammed Bahaziq, referred to as a Saudi Arabia-based leader of LeT, which carried out the 2008 attacks in Mumbai that killed 166 people. “HM Treasury is responsible for the implementation and administration of international financial sanctions in effect in the UK, for domestic designations under the Terrorist Asset-Freezing Act 2010,” the statement said. “Our aim is to reduce the terrorist threat to the UK and its interests overseas by preventing terrorists from using common methods to raise funds, or using the financial system to move money and targeting the raising and movement of money in and out of the UK by terrorists and disrupting the funding of bodies such as Al-Qaida,” it added. Under the Terrorist Asset-Freezing Act 2010, the Treasury is required to publish a quarterly report to parliament on its operation of the UK’s asset-freezing regime.